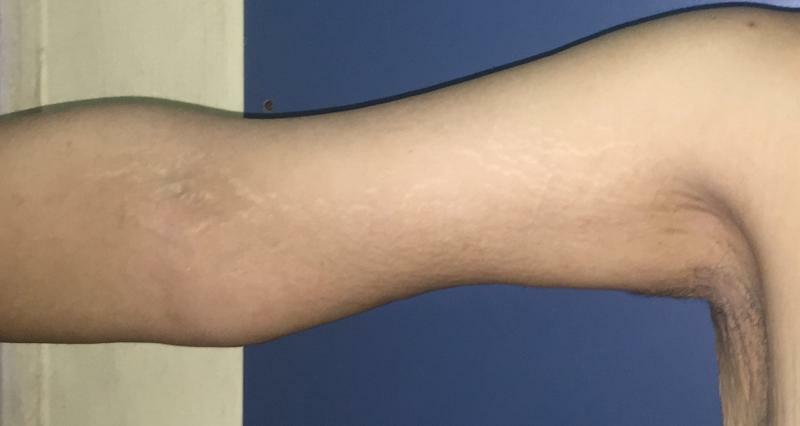 This 18 year old patient desired arm contouring to remove the excess skin and fat from her arms after massive weight loss following a sleeve gastrectomy. An axillary arm lift and laser liposuction were performed﻿. Note the invisible scar in the armpit and the toned skin of her arm and elbow. 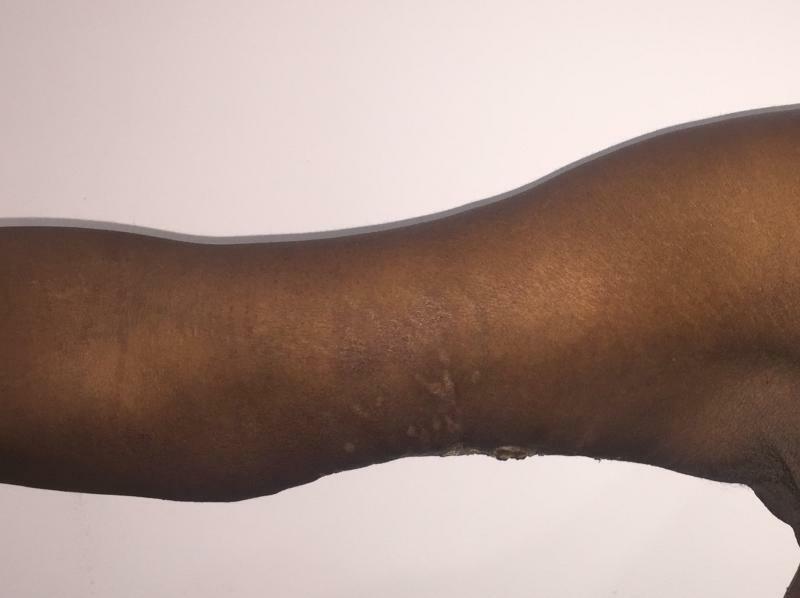 This 36 year old patient desired arm contouring to remove the excess skin and fat from her arms. 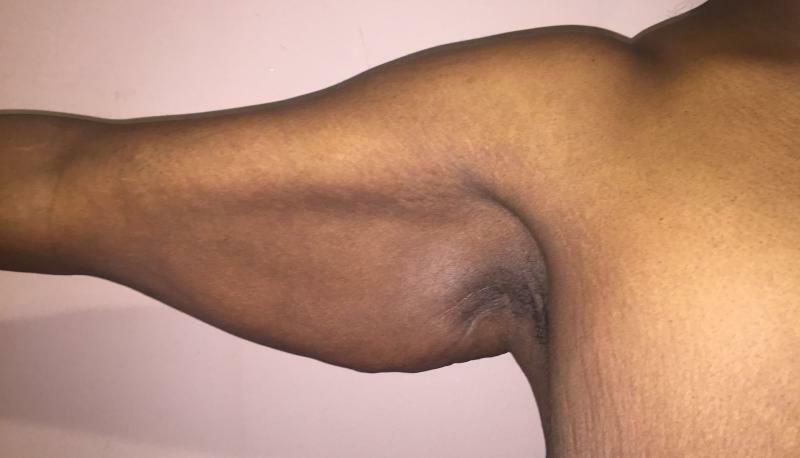 A medial arm lift and vaser liposuction of her elbow region were performed﻿. Note the almost invisible scar in the arm and the toned skin of her arm and elbow. 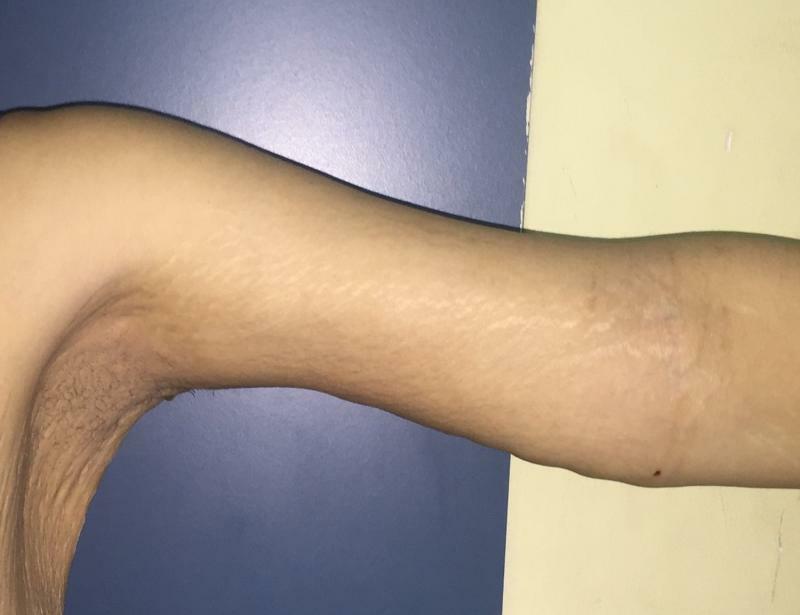 This 32 year old patient desired arm contouring to remove the excess skin and fat from her arms. An axillary arm lift and Laser liposuction of her elbow region were performed﻿. Note the almost invisible scar in the arm and the toned skin of her arm and elbow. This 62 year old patient desired arm contouring to remove the excess skin and fat from her arms. 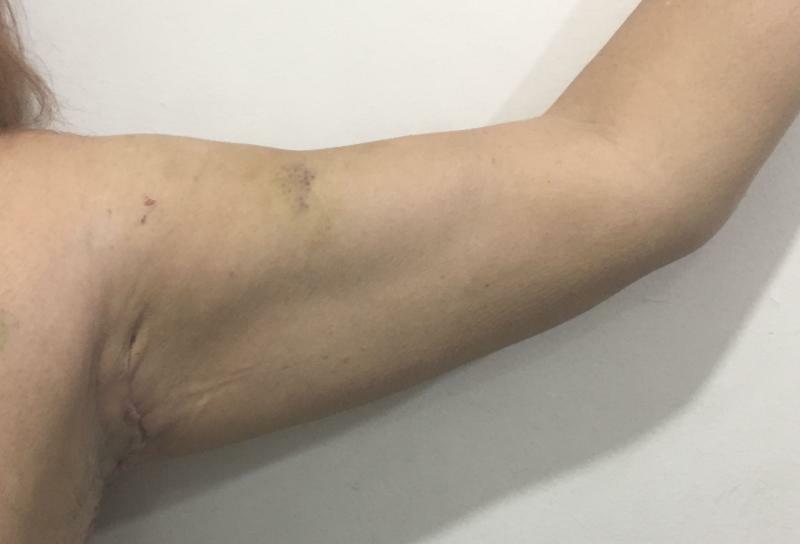 An axillary arm lift and Vaser liposuction of her elbow region were performed﻿. Note the almost invisible scar in the arm pit and the toned skin of her arm and elbow. 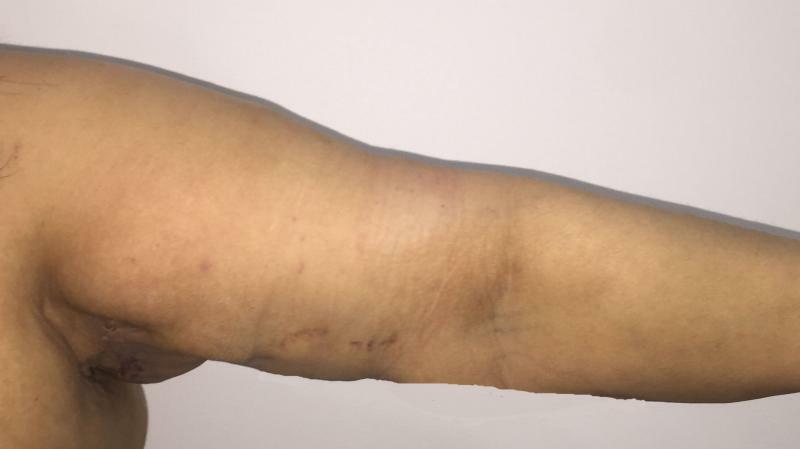 Medial Arm Lift, and Vaser Liposuction This 48 year old patient desired arm contouring to remove the excess skin and fat from her arms following a sleeve gastrectomy procedure. 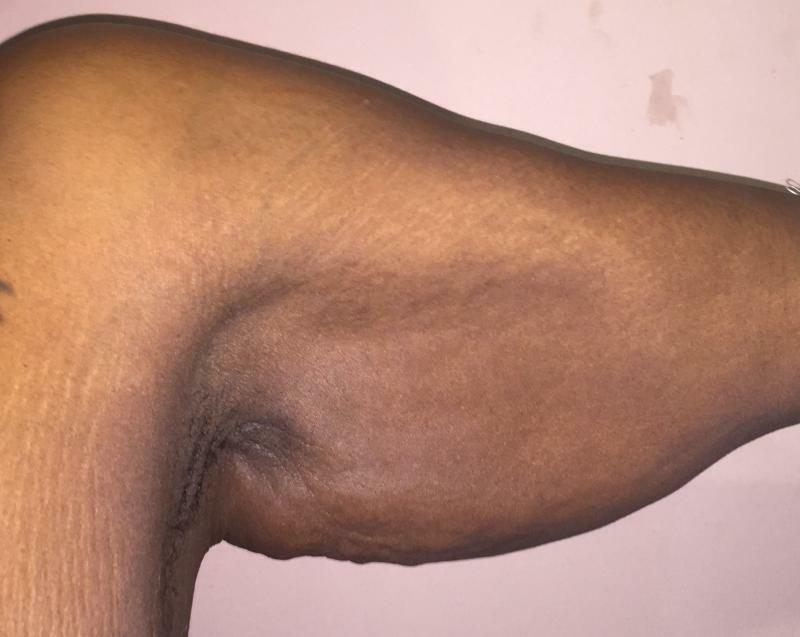 A medial arm lift and Vaser liposuction were performed﻿. Note the almost invisible scar in the arm and the toned skin of her arm and elbow﻿. 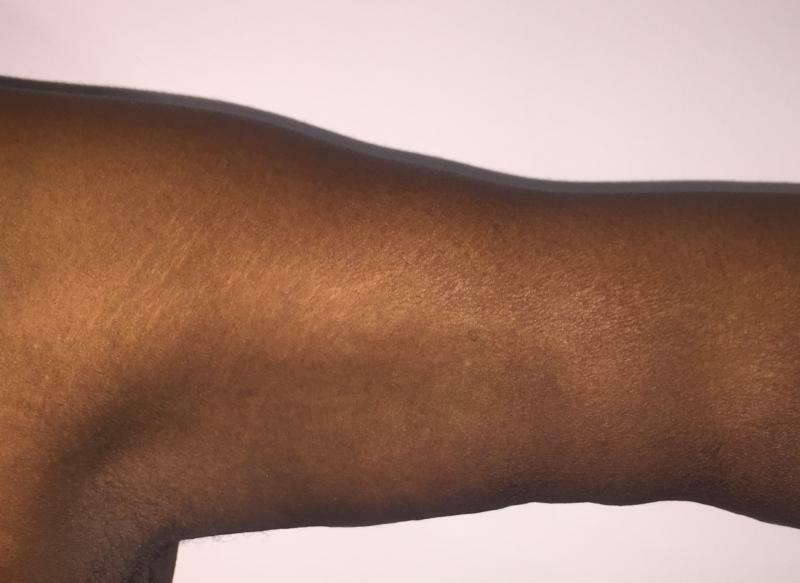 Medial Arm Lift, and Laser Liposuction This 24 year old patient desired arm contouring to remove the excess skin and fat from her arms. 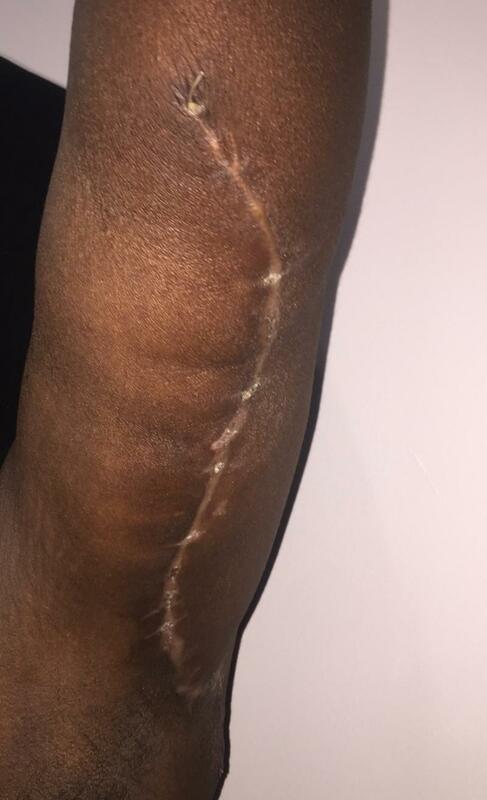 A medial arm lift and Laser liposuction were performed﻿. Note the almost invisible scar in the arm and the toned skin of her arm and elbow﻿.